One of the best fruits to make into juice is cantaloupe. It has an amazingly different, more creamy and vanilla shake taste when juiced. The way to get that extra taste is by juicing with the skin and all, cut into strips and run through your juice machine. If it’s a conventional melon, you may want to consider removing the skin to avoid pesticide residue. The orange-yellow color of the flesh of a cantaloupe tells us it’s full of beta-carotene. We know from years of nutrition research that this provides many anti-cancer benefits as well as helping to give our skin a healthy glow. It also contains high levels of potassium that works synergistically with sodium and is important in regulating nerve and muscle activity. At first it looks like the antioxidant levels are lower than other fruits but when you juice cantaloupe this will concentrate those nutrients and actually provides more polyphenol concentration than many other fruits. 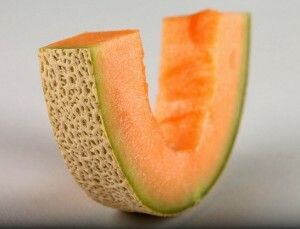 Therefore juicing cantaloupe is an easy way to add all of these valuable nutrients to the body. 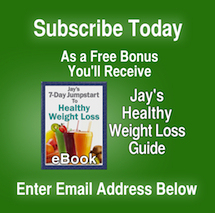 A study involving hundreds of women has shown cantaloupe to be effective at lowering the risk of metabolic syndrome in those who ate the most fruit. The five fruits that contributed most to total fruit intake were apples, grapes, cantaloupe, watermelon, and bananas. The indicator most used to show lower inflammation levels, C-Reactive Protein, (CRP) was at healthy levels in the group that ate the greatest amount, approx. 12 oz per day. It’s indicated that the anti-inflammatory phytonutrients in cantaloupe and other fruits helped the women have lower, healthy CRP levels as well as less risk for metabolic syndrome. Here’s Jay making cantaloupe juice with his PowerGrind Pro juicer.